Orthodontics takes time. Wilckodontics offers the same results in a third of the time. 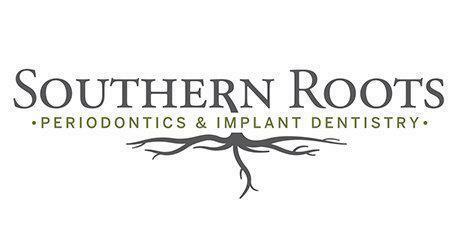 Contact Dr. Brandon Frodge at Southern Roots Periodontics and Implant Dentistry on Dresden Drive in Atlanta, Georgia for more information on Accelerated Osteogenic Orthodontics. Because traditional orthodontic treatment often takes two to four years to complete, many prospective patients pass up the opportunity to improve their smile. For these patients, there is a new option. With Accelerated Osteogenic Orthodontics, treatment time can be reduced to as little as three to nine months. This procedure, which delivers results up to four times as quickly as traditional orthodontics, was developed over a decade of intense research and refinement. With decreased treatment time, more patients can enjoy the benefits of orthodontic therapy. Results of traditional orthodontic treatment using traditional braces are slow because of the dense nature of the bone structure. With the new technology inherent in Accelerated Osteogenic Orthodontics, results are accelerated. That’s because the therapy incorporates a periodontal procedure. Employing barely noticeable incisions, Dr. Frodge places bone-grafting material beneath gum tissue. Saturated with antibiotics, the graft temporarily softens supporting bone, thereby preparing the teeth for orthodontic movement. Faster bone remodeling is the key to accelerating the orthodontic procedure. By preparing the supporting bone with the grafting material, desired results are achieved in far less time. Once the grafting material is in place, traditional braces and Wilckodontics appliances placed by your orthodontist are used to complete the treatment. The teeth are held in place while the supporting bone returns to its hardened form, and for the average patient, the bone will be fully hardened within nine months, at which time the procedure is complete. Dr. Frodge has been fully trained and certified in the use of Wilckodontics and Accelerated Osteogenic Orthodontics. What is Accelerated Osteogenic Orthodontics? Accelerated Osteogenic Orthodontics (AAO) involves a surgical procedure formed after braces are placed called an alveolar corticotomy. Grooves are cut in the cortical bone, in this case, the jaw bone, and bone grafts are placed in the grooves before repositioning and suturing the gums. Since the braces are already in place, this process then stimulates bone regeneration along the jaw. The bone grafts allow space to be created where there was severe crowding in the teeth, giving the teeth an opportunity to realign themselves in a fraction of the time of traditional orthodontics. This combination of surgery and traditional braces allows a patient to have complete orthodontic treatment in 3 to 9 months. In What Way Does Accelerated Osteogenic Orthodontics Differ From Traditional Orthodontics? Traditional orthodontics focuses on the force that is applied to teeth in order to create movement to the desired position. Wires have become temperature sensitive to give patients a gentle movement, brackets are smaller and mounted with new adhesives, but the principle remains the same. Force is exerted on the teeth over time to create movement. Results happen slowly, often over 18 to 36 months. AAO can be completed in 3 to 9 months, giving patients the opportunity to have straighter smiles and more aligned bites in a fraction of the time. Rather than focusing on the force applied to the teeth, AAO focuses on how the teeth react, giving Dr. Frodge an opportunity to manipulate the position of a patient’s teeth without the use of slow force.